Have you decided on your major? 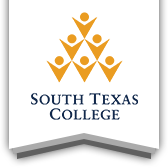 Want to know more about the programs of study available at South Texas College? Start here to get details about our different academic programs, offering 121 degree and certificate options! Continuing, Professional and Workforce Education provides quality and utility lifelong education opportunities through career preparation, career pathways, customized corporate training, professional education and development, professional conferences, and personal enrichment courses. Through the college's new virtual campus, students not only have access to more than 500 online courses, they can also take advantage of library services, admissions, advising, payment services, financial aid, bookstore and testing. STC also offers 32 online programs so students never need set foot on campus to earn their degree. The dual credit program allows eligible high school students to enroll in college courses while attending high school. Courses are taken in place of, or in addition to, the normal course load in high school. High school students admitted to the program must meet the same requirements as all other college students. This site provides useful information and demonstrates the college's commitment to accountability, transparency and open communication with students, parents, legislators, the public, and all stakeholders. Advisors can help with test requirements, degree plans, and resources to become a successful student. Visit advisors at a campus near you to set your schedule and review your degree plan.